Observation - grey foliose lichen - UK and Ireland. 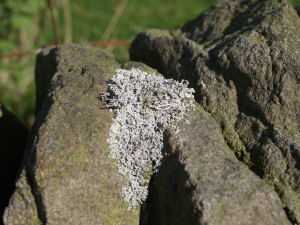 Description: grey ,slightly powdery lichen on top of dry stone wall ,about 700 ft above sea level. grey ,slightly powdery lichen on top of dry stone wall ,about 700 ft above sea level.